Teppan Toast is new to us Malaysians and I would highly recommend that you try it when visiting Taiwan. 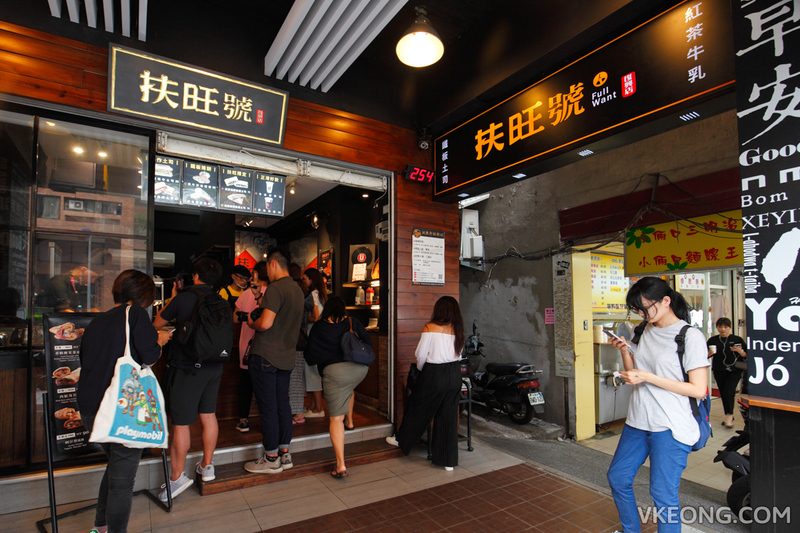 It is one of our favorite things to eat and you can get it easily at 扶旺号 (Full Want), a Taipei-based chain restaurant which had a humble beginning as a food stall in Ningxia night market. As you may have already guessed, Full Want’s teppan toast is a fusion of traditional teppanyaki with the modern toast. Despite being something that you can get quickly over the counter, the toasts are made to order with top notch ingredients right before your eyes. You can choose between toast and pancakes and they all come with freshly pan-fried meat, egg and other fillings. Most of the items on the menu cost around TWD60 to TWD80 while the most expensive option is TWD125 because it contains Australian sirloin steak. For first timers, you may want to try their signature teppan toast: Full Want Brand Toast @ TWD85. 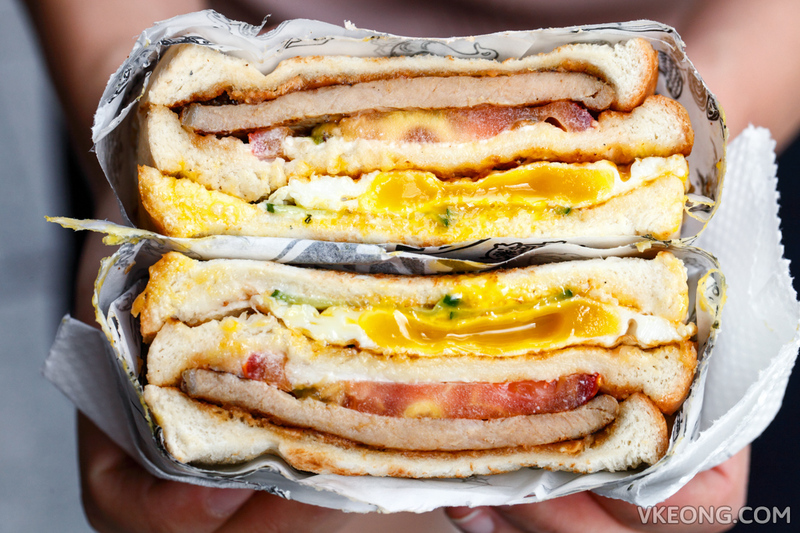 It is essentially a three layer toast with pork chop, over-easy egg, peanut spread, cucumbers, tomato and mayonnaise. Portion wise it’s more than enough for a filling meal. 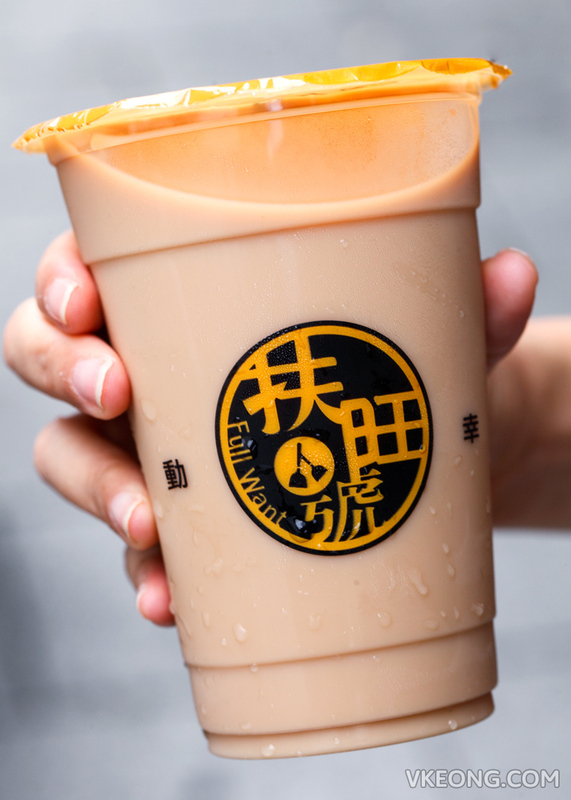 If you convert it to our currency it’s only around RM12 which is quite reasonable considering most street food in Taipei cost around the same. In my opinion, what makes Full Want’s teppan toast stand out is the addition of chunky peanut butter that gives a sweet and salty flavor in every bite. And they don’t use just any peanut butter but Fu Yuan’s (福源花生醬), a famous hand made product from Hsinzhu known for its quality. We had a couple of these delicious toasts for brunch the next day. Among all, the Spicy Meat Omelette, Teriyaki Beef and Boneless Chicken Thigh are our top picks. You won’t go wrong with any of those. Besides teppan toast, Full Want also serves a good range of drinks that are chilled in ice bath as not to dilute the flavor. Because of that, their drinks are be prepared with less sugar without sacrificing taste. Price wise they are competitive and pretty much the same as what you’d pay at the bubble tea kiosks. Lastly, I think you will be happy to know that Full Want will be opening up in KL soon. From what I was told, they are definitely going to get halal certified so everyone could enjoy their teppan toasts. 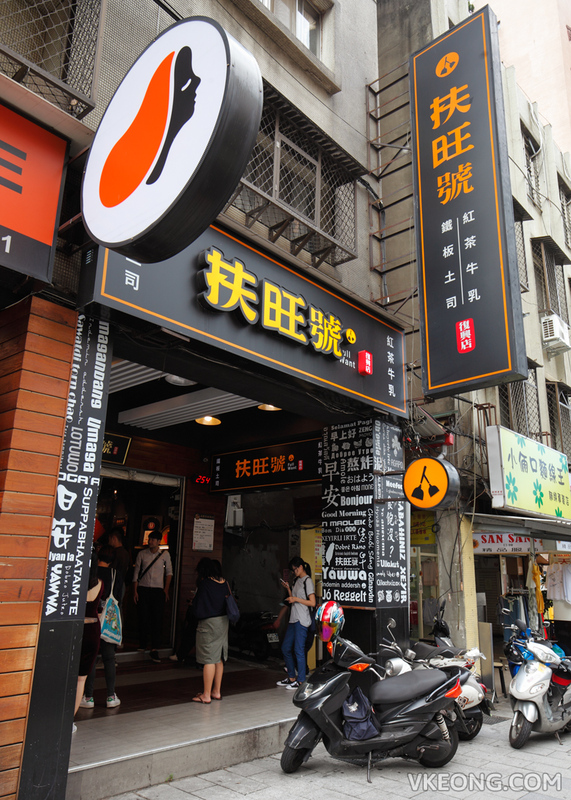 The post Teppan Toast @ Full Want (扶旺号), Taipei appeared first on Malaysia Food & Travel Blog.